We work with almost all existing materials in the diameter range from 1 to 70 mm. We strive to get the details completed directly in the machines without any post processing . Bällsta Mekaniska´s business philosophy is to offer CNC turning in the field of precision mechanics for small- medium- sized components, comprising complex operations demanding tight tolerances in both large and small quantities. We work with all existing materials in the diameter range from 1 to 70 mm. We offer surface treatment, hardening, soldering etc. through external sub suppliers. The foundation of our business is that our products will meet the customer's demands and expectations. Having technical skilled staff that keeps their special expertise alive is a must for us. We have customers in many different industries such as electricity, telecommunications, pneumatics, hydraulics etc. We thrive on real challenges! 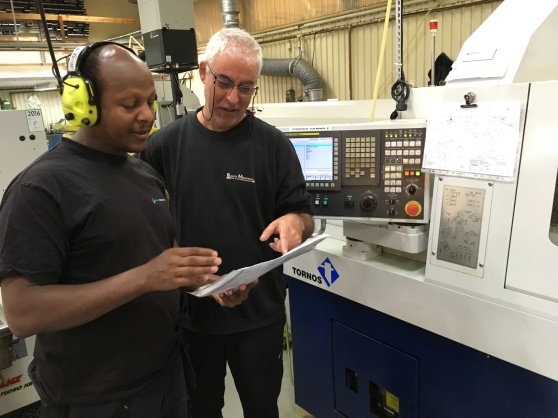 We have a substantial machine park with a large number of CNC- controlled machines as well as manually operated machines. Bällsta Mekaniska believes in investing in long-term business relationships. This puts great demands on us; we know how important it is to quickly and effectively meet our customer's needs. We look forward to solving practical turning problems. Ask us, it will pay off. We normally respond within 48 hours.